We are a group of bobbin-lace-makers. We are a group of bobbin-lace-makers. The group began in 2009 and our goal is to popularize bobbin lace. We prepare lace shows and show making bobbin lace at fairs. 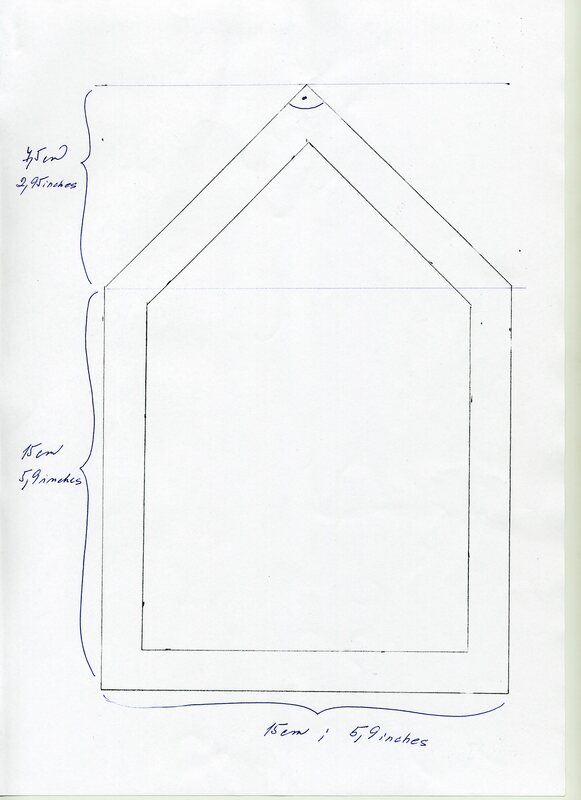 We are doing a project called Butterfly houses and we invite you to join us. We collect old laces and patterns and we reconstruct them. We search for and study historical materials from museums and family archives. Tell a story about Butterfly Houses with bobbin lace! You can put anything in your house, it doesn’t have to be a butterfly. Let your imagination take flight. We are using a set pattern for this project, (the baseline = 5.9 inches). The lace must be an original work, techniques and materials are optional. The house doesn’t have to stand on its foundation, it can also stand on its roof, or lay on its walls. The lace will first travel around to shows in the Czech Republic, starting off in Varnsdorf, Czech Republic. We are planning to then send it abroad. 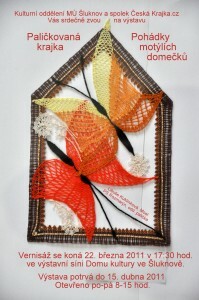 It will fly together, with other bobbin-lace-houses, around the world on its wings! With your bobbin lace submission, write down you first name, last name, name of a club or organisation (if you are in any), town, city, country. We will put this information next to every lace. Please, sign the release form agreeing that you give us lace to display at shows, on the website www.ceskakrajka.cz, in publications about the shows, and also in a books and promotional materials free of charge. After the lace has been shown, we are planning to host a charity sale. We are sorry, but we will be unable to return any lace once submitted. Thank you to all the artists! I look forward to see your lace stories! I declare that this/these pieces of bobbin lace are my original work. 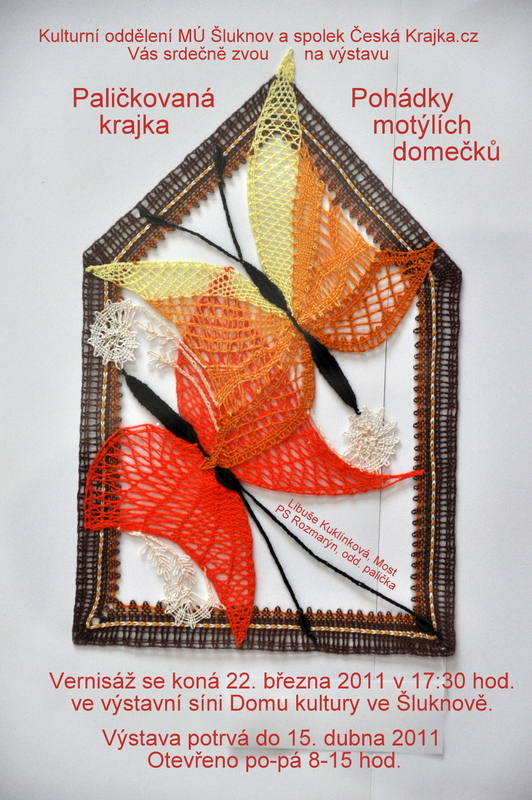 I give this lace to the organisation Česká Krajka.cz, and I agree with its display at shows and publishing on the website www.ceskakrajka.cz, in publications about the shows, in a book, and in promotional materials free of charge. I also agree to a possible charity sale.